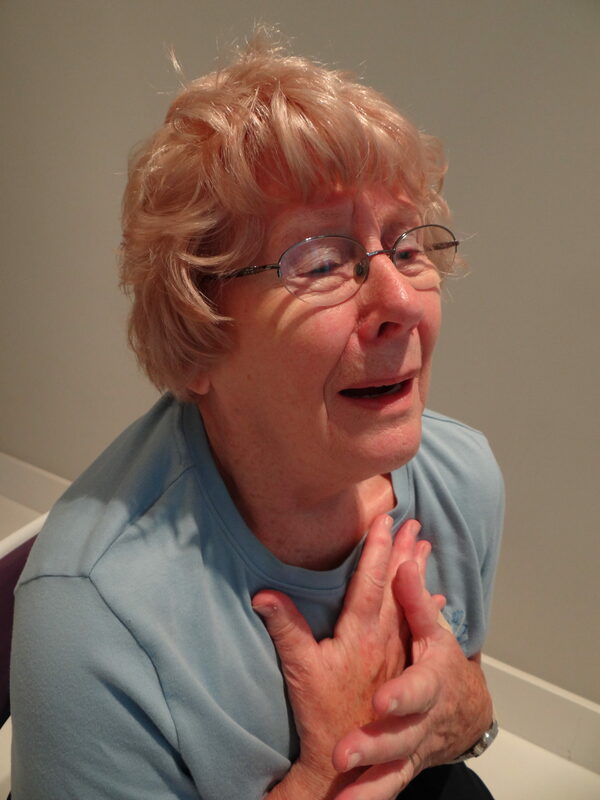 Asthma – in the elderly. As you get older you can find your asthma changes over time. You may have more asthma symptoms or develop new asthma triggers. You can find your asthma medicine isn’t working as well, or you experience more side-effects from it. 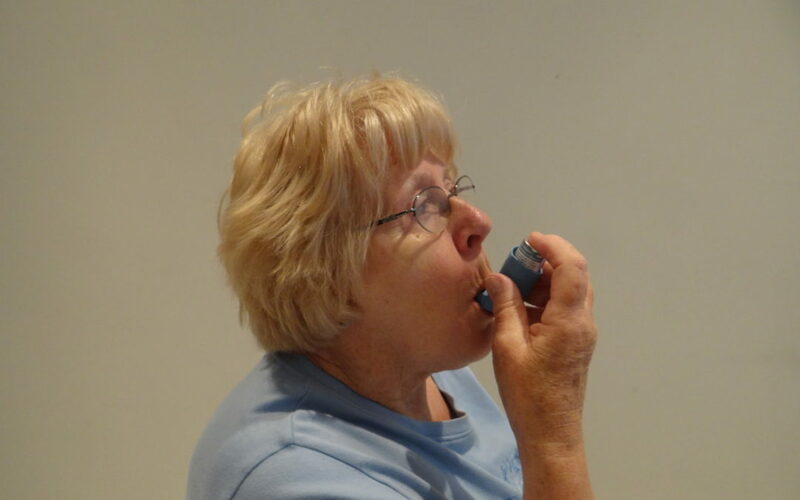 Older people can also experience a more serious form of asthma. 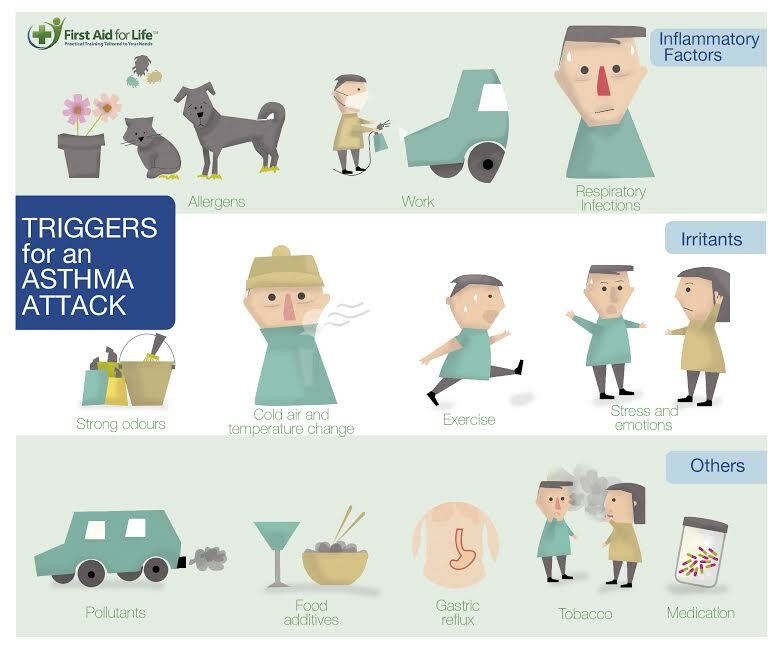 Read our article to find out all about asthma, what triggers it and how to manage it. 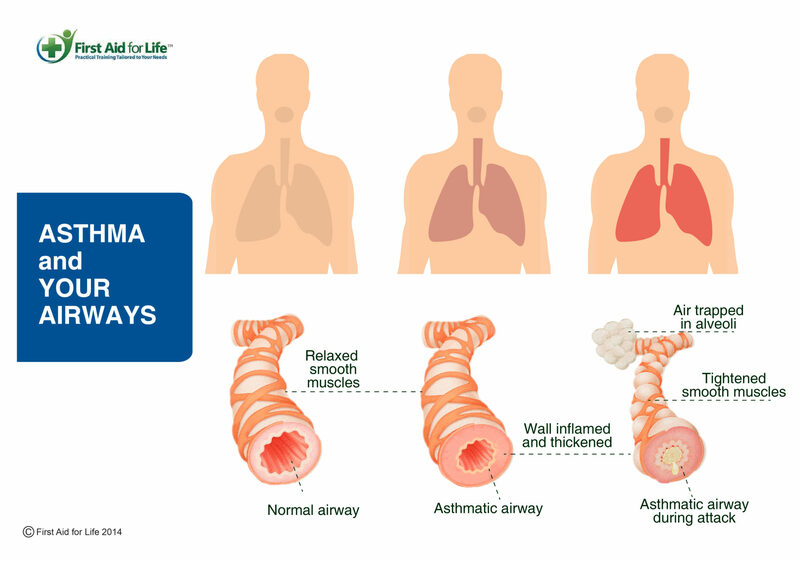 Asthma is a common condition where the airways go into spasm, causing tightness of the chest and severe difficulty breathing when someone is exposed to something that irritates their airways. 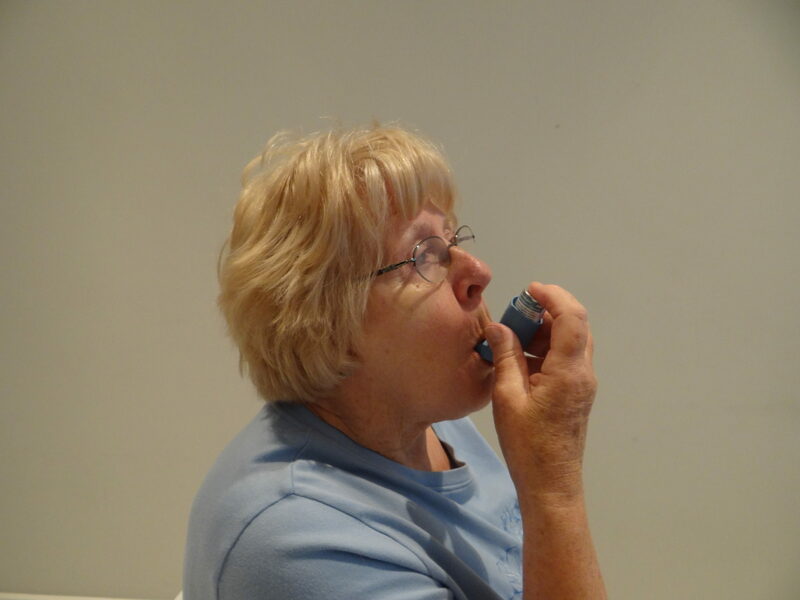 Elderly people often develop complex breathing problems and anyone diagnosed with asthma should have their blue reliever inhaler within reach at all times. The airways become narrow; their lining becomes inflamed, starts to swell and can start producing sticky mucus or phlegm which makes it even harder to breathe. 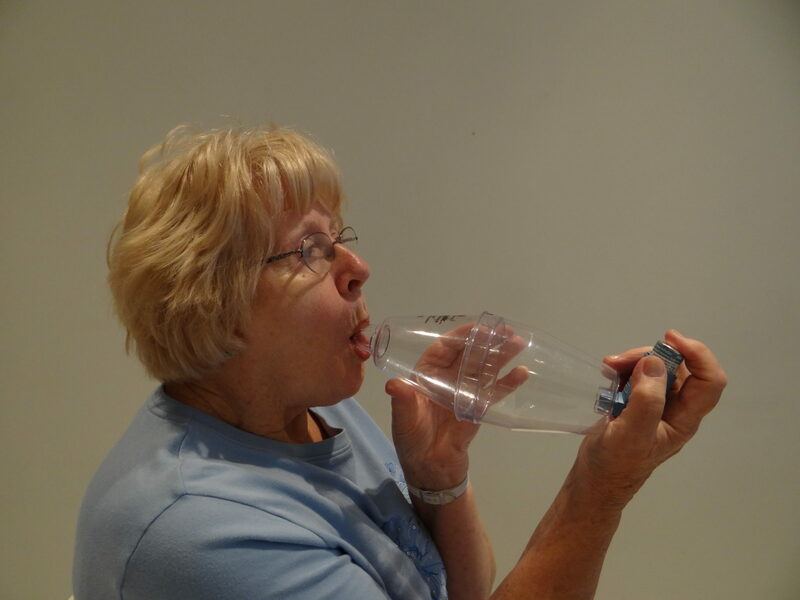 Exercise – this does not mean people should avoid exercise because they are asthmatic, but they should always have their blue reliever inhaler with them. Asthma sufferers will learn what triggers their asthma attack. Asthmatics don’t necessarily suffer from all these symptoms. Some people experience them from time to time; a few experience these symptoms all the time. Using a spacer has been shown to deliver medication far more effectively, increasing the amount of medication reaching the airway, rather than hitting the back of the throat. This gives people much better control of their asthma. There is a huge variety of shapes and sizes, but not all spacers fit all types of inhalers – use the spacer prescribed with the inhaler. There is considerable co-ordination required to use an inhaler without a spacer and this can lead to increased stress and worsening of symptoms. Keep spacers with inhalers and have both available at all times. Be calm and reassuring, panic can increase the severity of an attack. 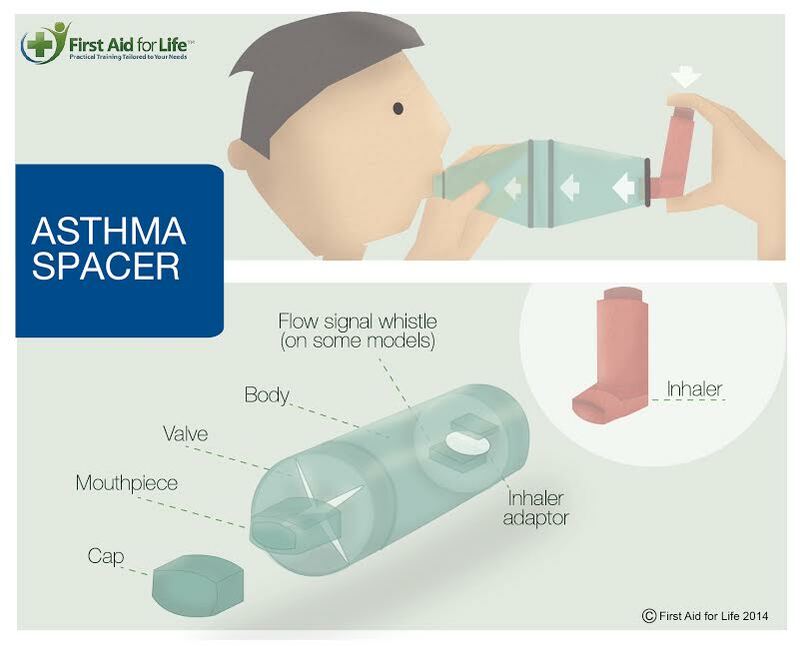 Encourage the casualty to take one to two puffs of their reliever inhaler (usually blue), using a spacer if available. Sit them down, loosen any tight clothing and encourage them to take slow, steady breaths. If they do not start to feel better, they should take more puffs of their reliever inhaler; 2 every 2 minutes up to a maximum of 10 (or as prescribed). If they do not start to feel better after taking the inhaler as above, or if you are worried, call 999. Get them to keep taking their reliever inhaler whilst waiting for the paramedics. People may have a variety of different asthma inhalers and medication to control their asthma. If they are having an asthma attack, it is the reliever inhaler that they need. Note: encouraging someone to sit upright is helpful when dealing with breathing problems. Sitting the wrong way on a chair may help. Do not take them outside for fresh air if it is cold as cold air can make symptoms worse. Make an appointment with a doctor or asthma nurse for an asthma review within 48 hours of the attack.